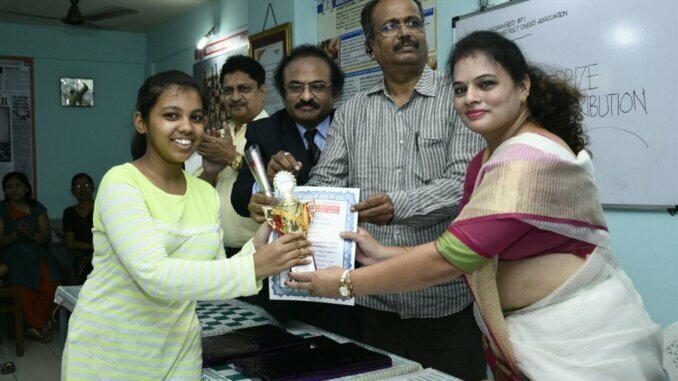 Arya Pise won the Pune District Women’s Chess Selection Tournament organized by Pune District Chess Association at Joseph D’souza’s Chess Academy, Sadashiv Peth, Pune. 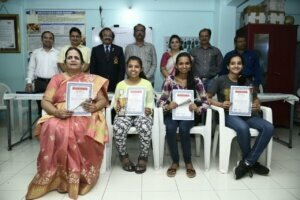 Arya Pise, Gayatri Pardeshi, Snehal Mahajan & Riya Marathe qualified to represent Pune District in the Maharashtra State Senior Women’s Chess Championship to be held later this year. Mrs. Rekha Milind Pokale Vice President Jijamata Sahakari Bank was the Chief Guest and gave away the Prizes.